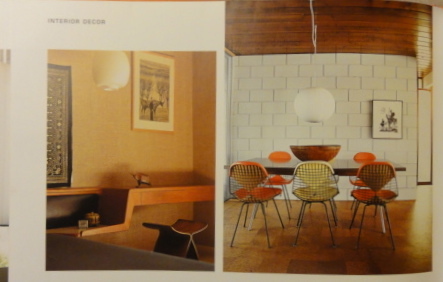 No…I did some research and I found out that the use of natural materials as wood, stone and marble stood out the mid century interiors: furniture, floors, walls, ceilings and fittings. Using them, the architects could visually link the inside with the outside. Stone and marble floors were great to unify -both virtually and in practice- living rooms with terraces and if polished perhaps even gleam the outside. The flagstone that has been used for the floor surfaces acted also as a layer for the smooth stones chosen to line the hearth. 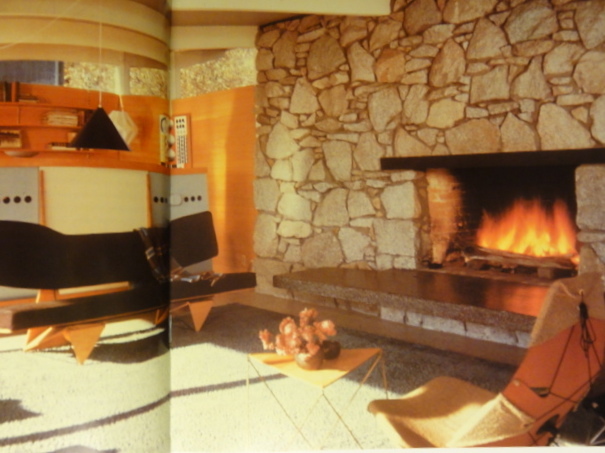 The flue was hidden and only the aperture revealed that it was a fireplace. Within the vast variety of woods available to the designers, Teak seamed to be one of the most appreciated by the Scandinavian designers. Teak is a kind of wood with incredible features originally from Asia. 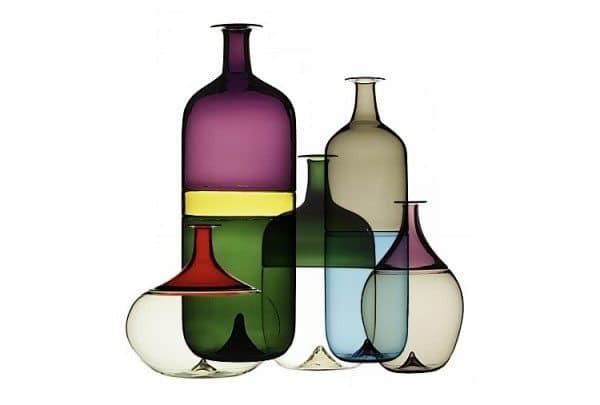 It was in use in Denmark since the twenties to become the characteristic of Danish design in the 50s. 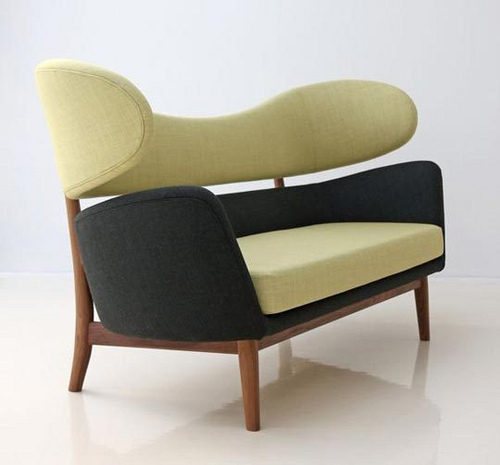 Designers recognized its durability, strength and leading quality, 3 fundamental traits also for a great furniture. A teak furniture can last for decades in a good condition and of course the prospective of a very long life and use is the most thrilling and gratifying prospect for any kind of artist as well as designers. 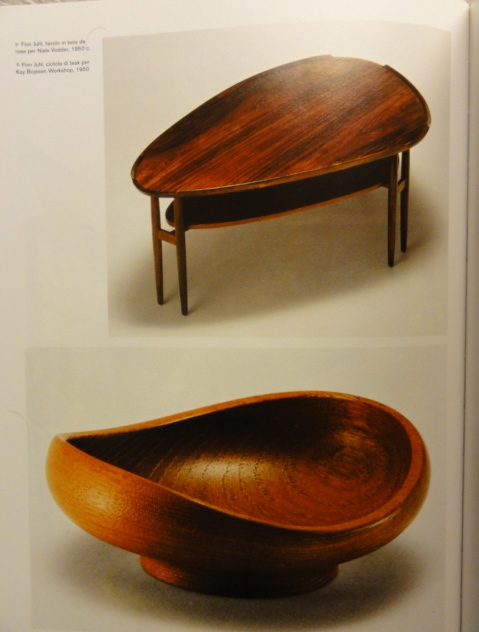 As I wrote when I described How Finn Juhl Influenced the Mid Century Modern Scandinavian Design, Teak wood was the favorite material of the Danish architect. He used it for many of his masterpieces: like the NV-45 and NV 48 chairs, the Chieftain seat as well as for sideboards, shelving units and wooden units. Because of his ductility it was the perfect material for his natural and ‘organic’ forms. But Teak has been used not only to produce furniture, in a mid century home was common to see teak walls, doors and even lightnings. Teak is a robust durable type of wood and if you buy a teak furniture you’ll probably get a tremendous piece, but the pieces you can spot up in a flea market or in a thrift store always have some abrasion or imperfection that ruins their beauty a bit. But take care of vintage wood is much easier than you can imagine. 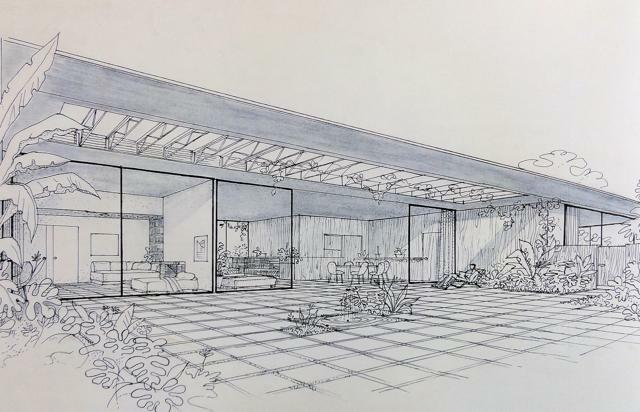 Soon I’ll write about my 4 Steps Guide to Renovate Mid Century Woods, so stay tuned following Mid Century Home for free trough the RSS by the Mail List or Twitter!